Your vacation in Branson during winter season will be undoubtedly be a blast, no matter what kind of winter activity you have in mind. As long as you have the necessary things in your suitcase, you’re sure to enjoy a great time in Branson. 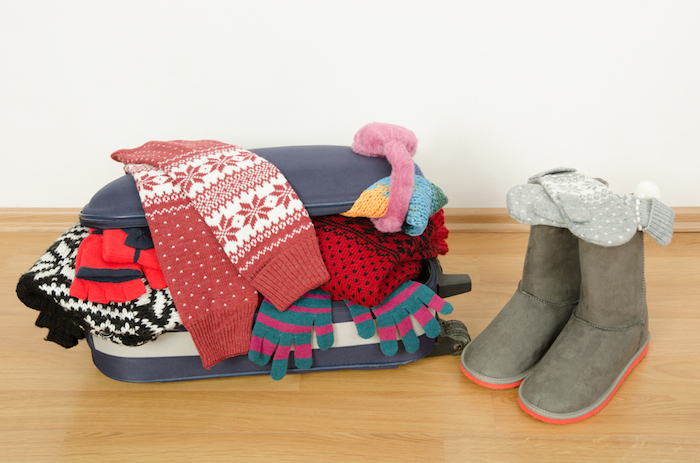 To make sure that you are going to feel comfortable on your every activity, pack your luggage with the things you need. Don’t forget to bring with you absolute essentials such as wallet, cell phone, sun glasses, and medications, and clothes and accessories that suit the weather at the time of your planned activities. When planning for your vacation in Branson, always check the weather forecast a day before you depart, you might need to postpone your trip because of bad weather. Look at the average temperature and precipitation; just remember that weather in Missouri can change any time of day. Check with the national weather service like Weather.com or Accuweather or a local news station like KY3 News or KSPR to know the upcoming weather in Branson. No matter what season it is during your vacation time, you’ll undoubtedly experience different temperatures in Branson. When it’s summer, it’s just natural to dine and shop in chilly air-conditioned places. And during winter time when there’s snow and ice on the ground, you can enjoy a night at the theater without the need of multi layers and winter gloves. But they are a must to wear once you step outside. Always dress comfortably when going out during the cold months. Dress in whatever makes you feel comfortable, whether that’s jeans and a t-shirt, a fashionable dress, a sports jersey, or cowboy boots. Most importantly put in some layers, bring shoes that you can wear all day long to make you feel comfortable. While you’re in Branson, you should plan what kind of activities you want to enjoy. If you want to play golf, you might want to pack a hat and some khakis. If you’ll be watching live entertainment shows with your friends, you’ll need to wear pretty accessories and jewelry. If you want to take a zipline ride or horseback ride, you might want to pack jeans and comfortable t-shirts. It’s just necessary to pack things around your itinerary. Just remember that if you forget to pack something important that you need to use for a fun activity, you can always find a replacement. Shopping malls and shops abound in Branson, including the very popular Branson Landing and Tanger Outlet Mall. You left behind your sunglasses, hats, and gloves? It’s not a problem. It’s just easy to find some at retail shops like Walmart or Target. Want a new dress for a dinner show at Dolly Parton’s Dixie Stampede Dinner & Show? Buy that at Tanget Outlets. You also forget your reading glasses? Look for it at Belk Department Store in Branson Landing. So, if you want to spend a wonderful winter vacation in Branson, make sure to pack everything you need so you can enjoy whatever kind of activity you have in mind.